Trains & Things Hobbies sells a wide variety of scale models, tools and accessories. If you don't see what you're looking for, ask one of our sales representatives and we will order it for you. 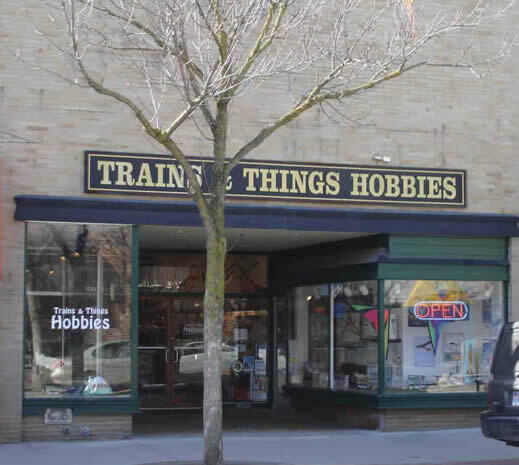 Trains & Things Hobbies is conveniently located in downtown Traverse City, Michigan, near the corner of Front and Cass Streets. We've been locally owned and operated by and for modelers since 1983. Come see us!